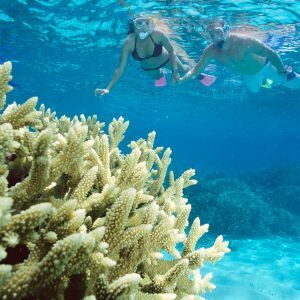 Michaelmas Cay provides a wonderful safe haven in rough conditions at other reefs, here divers will find a sheltered, clear and calm space of beautiful coral gardens safe for both snorkelling and diving. Michaelmas Cay is famous for it’s protected seabird sanctuary, with 27 000 migratory birds making it their home. This is one of the most important nesting sights in the Southern Hemisphere and an absolute haven for any nature lover. 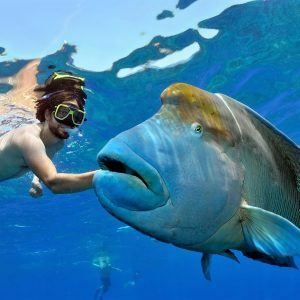 Michaelmas Cay is a small reef sand island that perches on the western tip of Michaelmas Reef, 43 km north-east of Cairns. 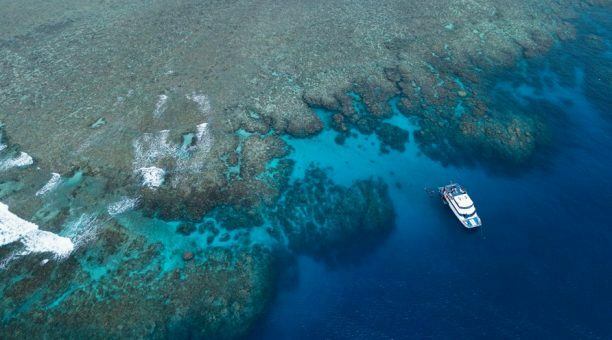 This vegetated coral reef island covers an area of 1.5 hectares and rises to a height of 3.5 metres above sea level. 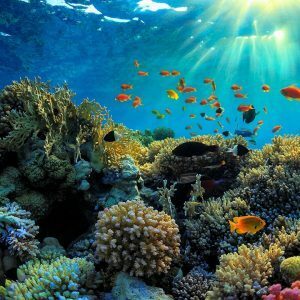 The Reef that surrounds Michaelmas Cay is made up of hard limestone skeletons of millions of living coral polyps. The skeletons are created from dissolved limestone extracted from the water by the polyps for their own protection. 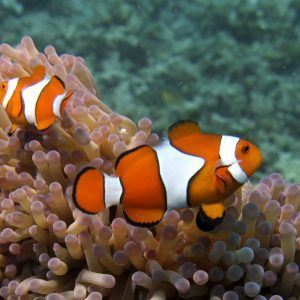 When these polyps die, their skeletons and the remains of other marine plants and animals together form the foundation for the new polyps to build on. Fragments of the reef, washed to the leeside of the reef by waves and winds, gathered over time to form Michaelmas Cay. The centre portion of the Cay is covered by vegetation. The seeds carried in by the birds and the waves help vegetation flourish which in turn provides an ideal habitat for the seabirds to roost and nest. 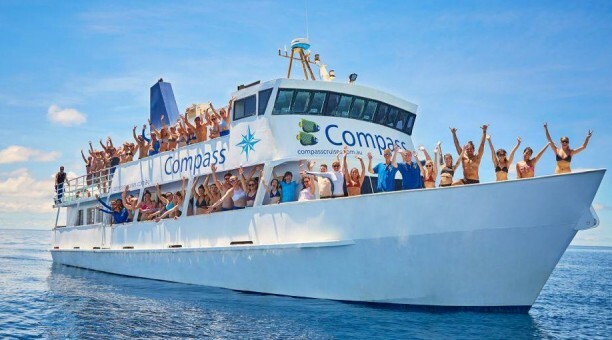 Michaelmas Cay is a World famous natural seabird habitat on the northern section of the Great Barrier Reef, and is one of the most accessible of all reef islands. Michaelmas Cay is known to be home to around 38 species including 3 woodland and 35 seabird species. Sooty terns, crested and lesser crested terns and common noddies are the most commonly found seabirds on the island. Silver gulls, ruddy turnstones and black noddies, and black-naped terns, bridled terns and roseate terns also find this island an ideal nesting habitat. Breeding activity occurs throughout the year on the island. While most of the seabird species breed annually, sooty terns breed every 8.5 months. Michaelmas Cay is considered to be the fifth largest seabird colony on the Great Barrier Reef. 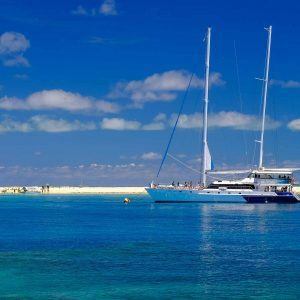 The reef life surrounding Michaelmas Cay is rich with an abundant variety of sea turtles and several species of giant clams, trevally, reef sharks and hundreds of species of brightly coloured reef fish. The calm sheltered waters around Michaelmas Cay are ideal for snorkelling and scuba diving – even for beginners! The sandy lagoon is wind protected during all weathers and the coral is within easy reach from the beach.